If you’ve seen Star Wars: A New Hope, you’ll have heard the above quote. People often think Solo refers to his ship’s speed when he says this, but that is not the case. A parsec is a unit of length, not of time! In fact, it is defined as the distance from the sun to an astronomical object such that the parallax angle (the angle between lines from the Earth and the Sun to that object) is one second of arc. 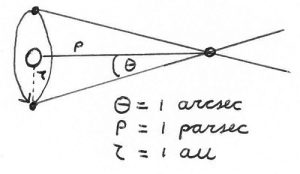 One parsec is the distance from the Sun to a nearby astronomical object that has a parallax angle of 1 second of arc. 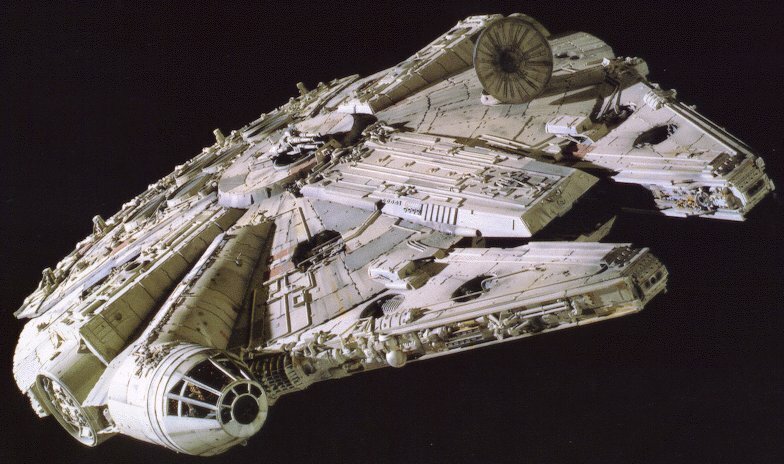 Using this information, we will calculate the length of a parsec in meters.